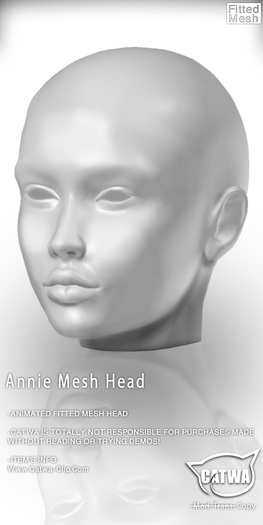 I demo’d a Bento mesh head recently and was also sad to discover I couldn’t make it look like ‘me’. But as you say, hopefully one day there will be much more choice and I will be able to find one closer to my look that I will be able to edit perfectly. I was thinking so… your article/experience will have me closely examining the demo’s. Good to know! I’m tired of seeing crowds of people looking like the SL equivalent of the Clone Wars so I was hopeful this was going to be the solution. It may yet I suppose. Sally, a belated thank you for this detailed information! Thank you so much for sharing your experience, I understand what you mean. I am very attached to my classic head face and even if I have thought about moving to mesh heads, loosing my individuality is a price I am not willing to pay.